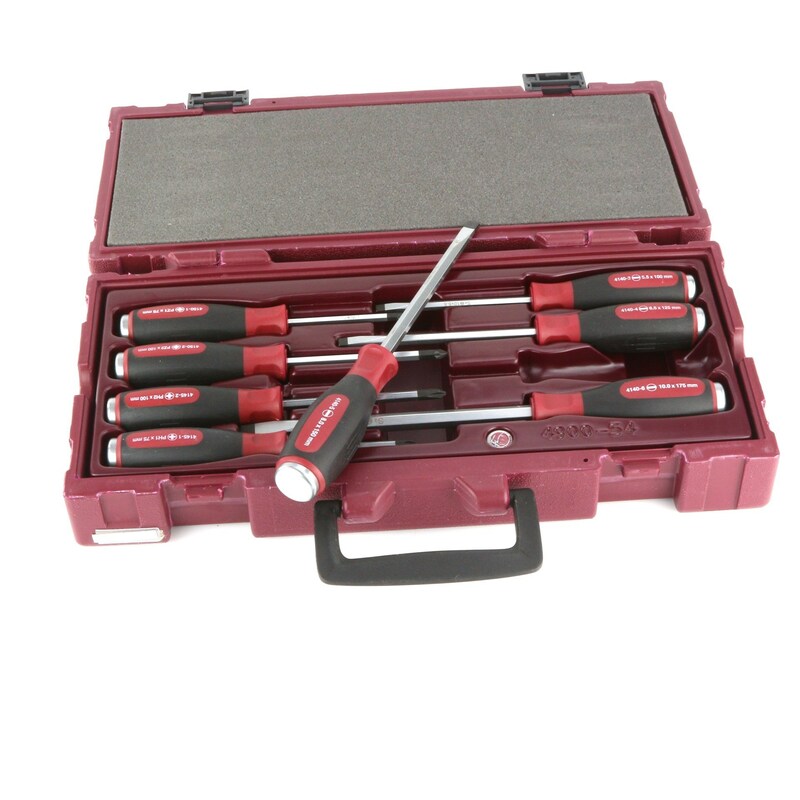 Set of 8 high-torque screwdrives with go-through blades and a striking cap on the top of the handle. and best quality tools available anywhere in the world. serve you faithfully for a lifetime. Hexagonal blades for applying extra torque with a spanner. 13 regular open and ring combination spanners: 1/4", 5/15", 3/8", 7/16", 1/2", 9/16", 5/8", 11/16", 3/4", 13/16", 7/8", 15/16", 1". And two, 4 in 1 reversible ratchet ring spanners with 4 sizes on each one - 3/8" to 3/4". 8 - 9 - 10 - 11 - 12 - 13 - 14 - 15 - 16 - 17 - 18 - 19mm.